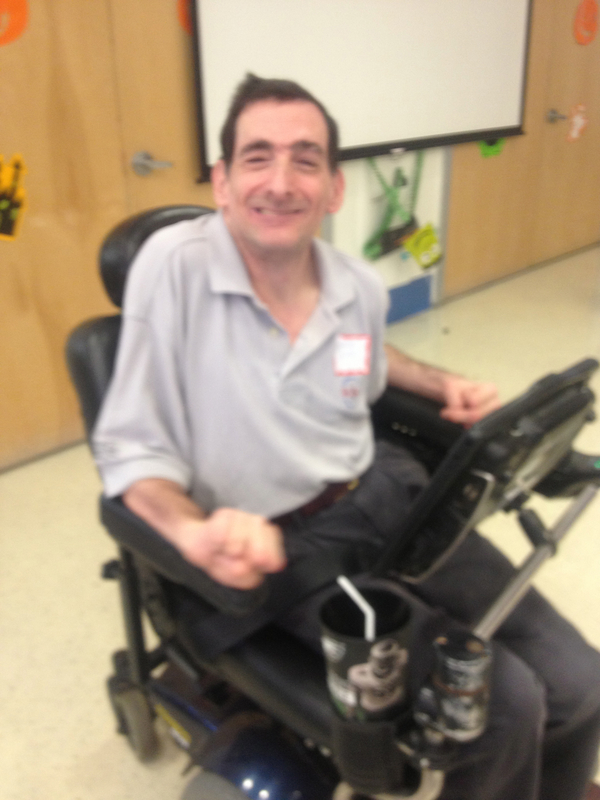 George Russo, Assistive Technology Assistant, recently used his speech generating device to read “The Stinky Cheese Man” to about 40 students and their teachers at the HMS School in Philadelphia. The pages of the book were projected for all to see as George read. After completing his reading of the satiric twist on the tale of the gingerbread man, George recounted a brief summary of his use of assistive technology and his independent life. 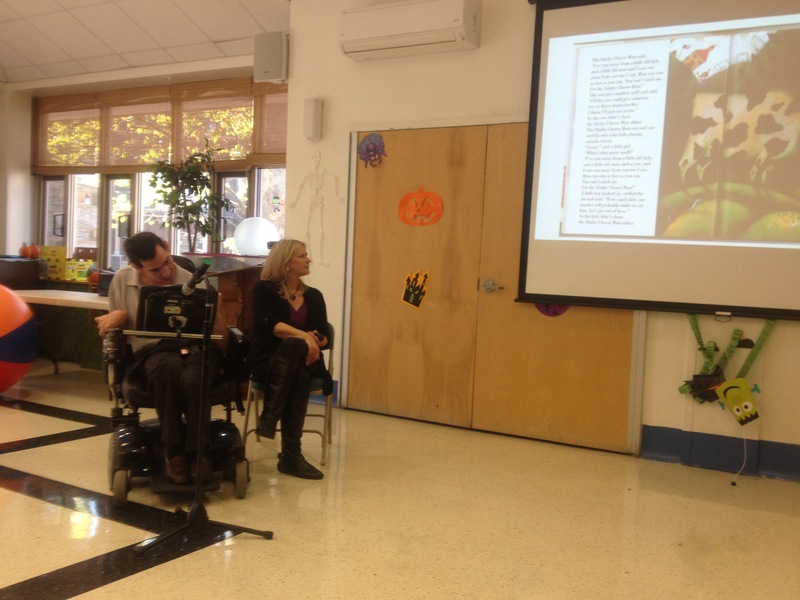 Many of the students at HMS School also use speech generating devices to communicate, and they were fascinated by George’s story. They questioned him at length, asking “What do you do at work?”, “How do you live by yourself?”, “What are your hobbies?” and more. The students learned that George works part time at Easter Seals, where he makes communication boards, slide shows and PowerPoint books for students at the Easter Seals Schools. He lives independently with some assistance with meal preparation and shopping and he has many hobbies including following Philadelphia sports teams, swimming and drawing. Each question George answered sparked other questions from the students. At the end of the session, the students invited George to return for their movie night and for more socializing with the students and faculty of HMS School. George is a spokesman for Easter Seals and he has presented his perspective on using assistive technology to Occupational Therapy and Speech Therapy students, attendees at the Children’s Hospital Developmental Disabilities Annual Conference, and teachers and board members at Easter Seals. This entry was posted in General info and tagged assistive technology, Easter Seals, HMS School, speech generating device on December 9, 2015 by Easterseals.